Project chaos?.. Too many tasks?.. Too little time? Easy does it, but do it … Change is a process. Disorganization is the primary reason for inefficiency. It leads to frustration and creates stress. Do you find yourself feeling overwhelmed? Having fears of missing deadlines and opportunities. Worries of not making progress towards life goals? Our solution is a unique visual organizer – BubblesPlanner. It focuses on the ORGANIZATION and PLANNING of work and information. It helps to seize the control of the day and regain command over prioritization. It arranges work in a clear, concise, and intuitive visual format that is easy to comprehend and simple to use. You know at a glance what to focus on at any given moment. It makes managing workload stress-free (or less stressful) and effective. It uses superior time management visually-oriented methods. It is simple and practical. While sounding funny, “bubbles” are a quite serious aid that brings required relief into the life of an ambitious person. Its uniqueness in promoting the foundation of effective planning – SIMPLE VISUAL ORGANIZATION. It makes Getting Things Done, when they should be done. Each Bubble represents a task or post. Bubbles use color, size and position to tell the story. Prioritize your workload on the fly by moving the Bubbles. Arrange tasks visually by its importance, urgency and relation to goals. Use multiple workflow templates like Kanban, MIT, and GTD methodologies. Eliminating the complexity, cost, and system overhead of traditional alternatives. 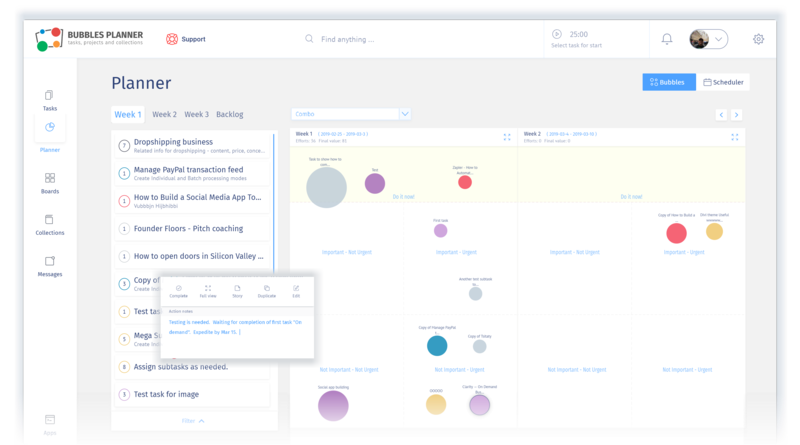 Easy logging, tracking, and prioritizing customer issues. 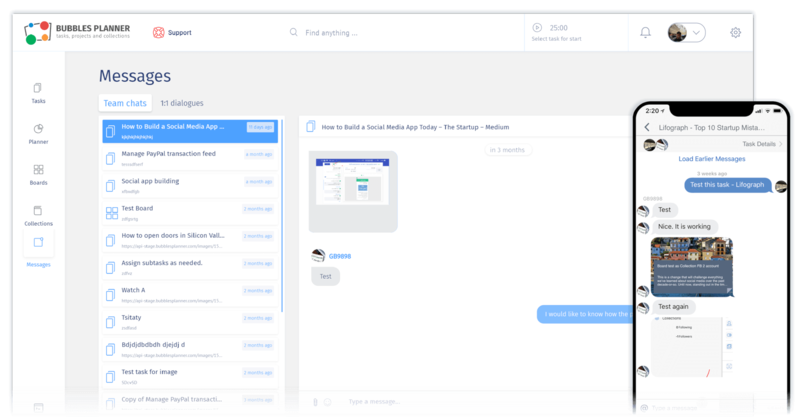 Link customers to specific tasks and share its progress. Attach any file format, images, and screenshots. Write unlimited notes in rich format. Easily filter and search by anything. Use tags, subtasks, and references to other tasks. Drag & drop for fast schedule creation. Time blocks inherit color of linked tasks for visual recognition. Break tasks into multiple, more manageable time blocks. Effortlessly create recurring tasks or events. Quickly link to a task from within an event. Accelerate commitment resolution with visual interface. Collaborate with ease on any level. Share tasks and related discussion details. 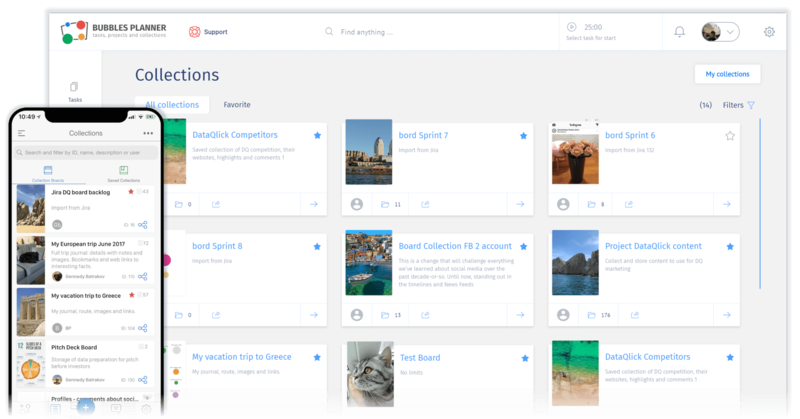 Use project Boards to group people and tasks together. Keep all your important project information, random thoughts, and big ideas organized and safe in a central location. No data scattered among different apps or files. Share the power of knowledge with a single click. Structured visual content and Rich text editor. Share read-only Collections among your peers, friends, or clients. Broadcast Collections on social media as a single condensed pack of information. Build community user groups, customer advisory teams, etc. Easily capture any website url using Chrome extension. Build research library effortlessly saving selected text from any web page. 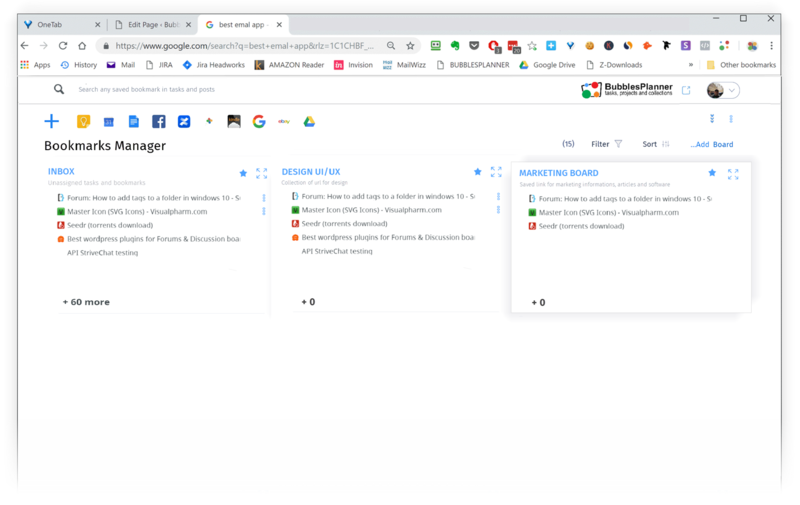 Organize bookmarks assigning them to Tasks, Posts and Boards. Search on anything, to quickly retrieve essential bookmarks. Easily share your bookmarks with Collections. Add as many details as you want in rich text/content format. Assign dates quickly by selecting a work week. 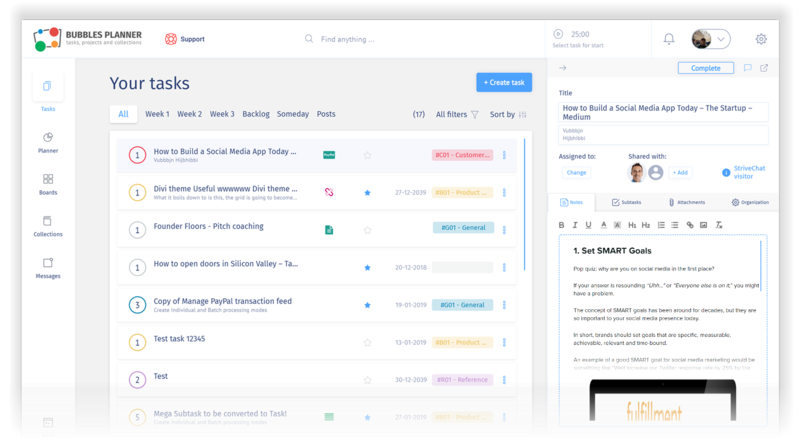 Share projects, delegate tasks, and discuss details. Assign contextual values to measure task significance. 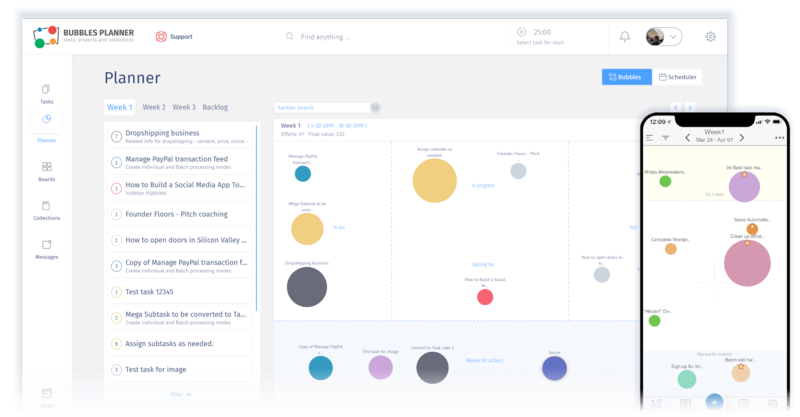 Filter by anything and find anything in tasks using powerful search capabilities. Save any web links url on the fly and attach to existing tasks/posts.